Mrs. G bought a Ouija board for fun ... and ended up unleashing a spirit intent on winning her back. 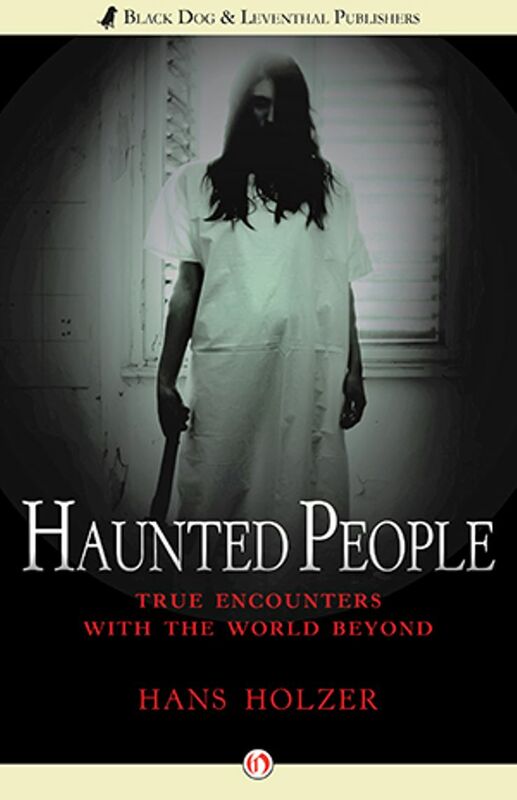 Hans Holzer’s Haunted People collects the real-life stories of those touched by the paranormal, including some of the strangest recorded cases of supernatural possession. In this chilling excerpt, a Christian woman gets curious about the spirit world, only to find the ghost of a former lover has grown … reattached. 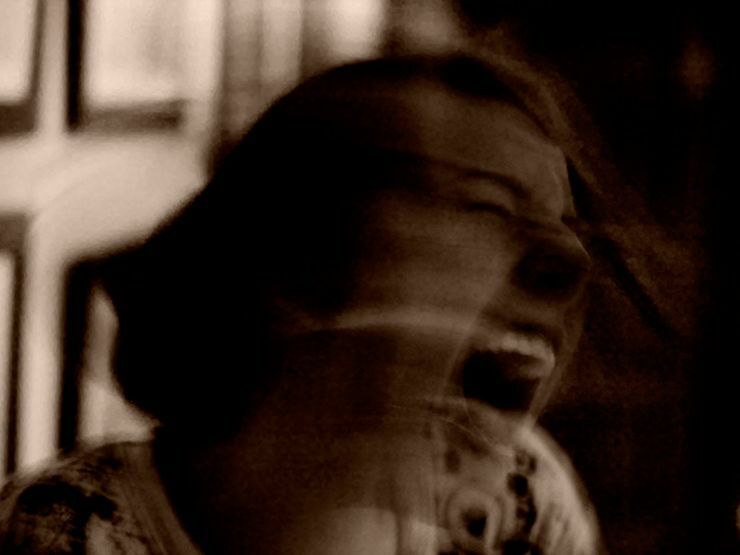 At first, she tells herself she’s imagining things—but the truth is far more terrifying. Read on for an excerpt of Haunted People and then download the book on Amazon, Barnes & Noble, and iTunes. If you live in Kansas City, you’re bound to hear about the devil now and again if you are a Bible student or church-goer in a church that goes in for the hell-and-brimstone variety of preaching. To some people the devil is real and they will give you an argument filled with fervor and Bible quotations to prove that he exists. Mrs. G. wasn’t one of those who were impressed by demonic outbursts, however, and could not care less whether there was a devil or not. 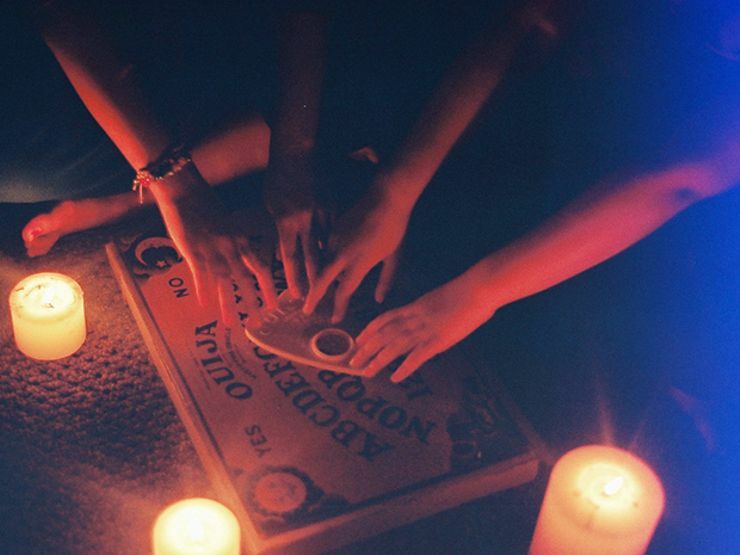 She had more time than ever on her hands and the idea of “playing around” with the Ouija board tickled her fancy. Consequently she bought a board the following week and decided she would try it whenever she had a moment all to herself. Could it be? She wondered. She put the board away in haste. Enough for now, she thought. But then her curiosity made her try it again. As if by magic, the indicator flew over the board. “I want to be with you, always,” the board spelled out now. And then an avalanche of words followed, all of them directed towards her and telling her how much he had always loved and wanted her … every day, practically, she found herself drawn to the Ouija board. For hours, she would listen to the alleged John W. tell her how much he wanted to stay with her, now that he had found her again. This was punctuated with bitter complaints that she had hurt him, that she had not understood his great devotion for her. As the weeks went by, her own personality changed and she began to take on more and more of his characteristic moods. Whereas she had been a light-hearted, gay person, she turned moody and morbid and her husband could not fail to notice the change that had come over his wife … by the winter of 1964, her life was no longer her own. In addition to the frequent Ouija board sessions, she now began to hear the man’s voice directly. “I am with you,” he explained, fervently, and with her he was. There was never a moment where she could be sure he was not nearby. Her privacy was gone. She kept hearing his voice, sad, but nevertheless his voice as it had been in life, talking to her from somewhere outside, and yet seemingly inside her head at the same time. She could not understand any of this and she did not know how to cope with it at first. Related: WOULD YOU HAUNT YOUR EX? She threw away the accursed Ouija board that had opened the floodgates to the invasion from the beyond. But it did not help much. He was there, always present, and he could communicate with her through her own psychic sense. She found it difficult to fall asleep. About that time she noticed she was no longer alone in bed. At first she thought it was her imagination, spurred on by fear, that made her think the undesired one was with her. But she soon felt his physical presence close to her body. One night she extended her hand and clearly felt something other than air above her own body! She let out a scream and turned on the light. But this merely woke her husband and she had to explain it as a bad dream, so that he would not be alarmed. Nothing mattered in her life but to rid herself of this nightmare and return to the placid life she had been leading prior to the incident with the Ouija board. John W. added threats and intimidation to his arsenal of evil now. Threats as to what he would do to her and her husband, if she did not accept him willingly. Ultimately, she could not bear it any longer and decided to inform her husband of what she was going through. At first she was fearful as to what he might say. Perhaps he would have her committed to an institution, or at best, subject her to the humiliating treatments of a private psychiatrist. But her husband listened quietly and with compassion. She sighed with relief. He evidently believed her. She herself had moments now where she questioned her own sanity. Could such things be as the sexual invasion of a woman by a dead man? Was she not merely acting out her own suppressed desires due perhaps to middle-age change of life? She went to seek the advice of a physician. 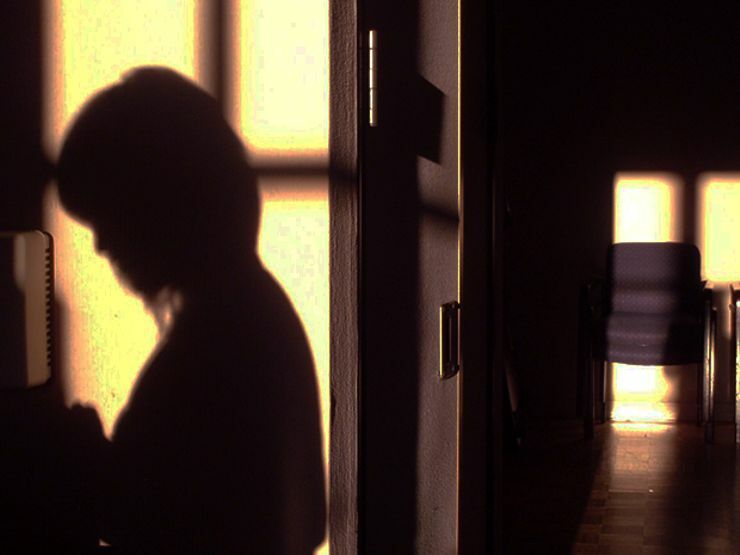 After a careful checkup, he found her physically sound but suggested a psychiatric examination and possibly an EEG—an electroencephalogram to determine brain damage, if any. None of these tests showed anything abnormal. After a while, she concluded that medicine men could not help her even if they should believe her story. Meanwhile, the attacks became worse. Want to keep reading? Download the book on Amazon, Barnes & Noble, and iTunes.